KissFront uses Google Lighthouse as a Service for continuous modern performance audits. KissFront’s Chrome Extension for Google Lighthouse is live now. This will enable easier view of the modern performance metrics like Performance Score, First Meaningful Paint, First Contentful Paint, Speed Index and others. Your website gets monitored every hour, and you can use this new extension to monitor your website performance, and understand how is your website’s performance changing over time..
More details on how easily is to run a test with KissFront and Google Lighthouse. 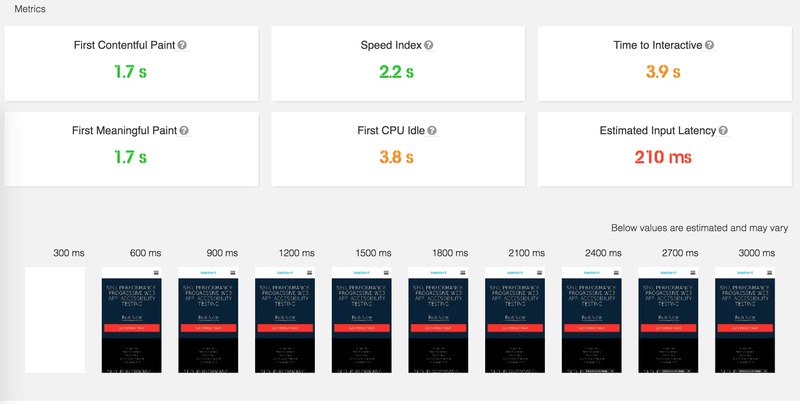 2 minutes readKissFront is a web performance monitoring tool running Lighthouse continuously or on-demand (using Lighthouse as a service) to monitor your website performance and get insights on speed with modern performance metrics. 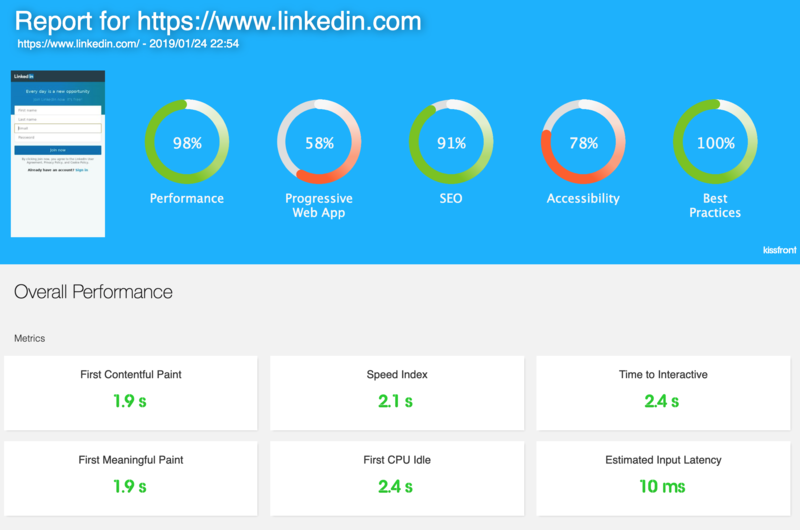 Lighthouse is an open-source automated tool for analysing and improving the quality of web pages with audits for performance, accessibility, progressive web apps, SEO and best practices. Each time Lighthouse audit generates a comprehensive report that gives information on all of the tests that passed in addition to the ones that failed. Also it includes the ability to test progressive web applications for compliance with standards and best practices. KissFront uses Lighthouse audits and it provides five categories of feedback, ranking from zero to 100. Lighthouse Audit references: Performance, Progressive Web App, Accessibility, Best Practices, SEO. 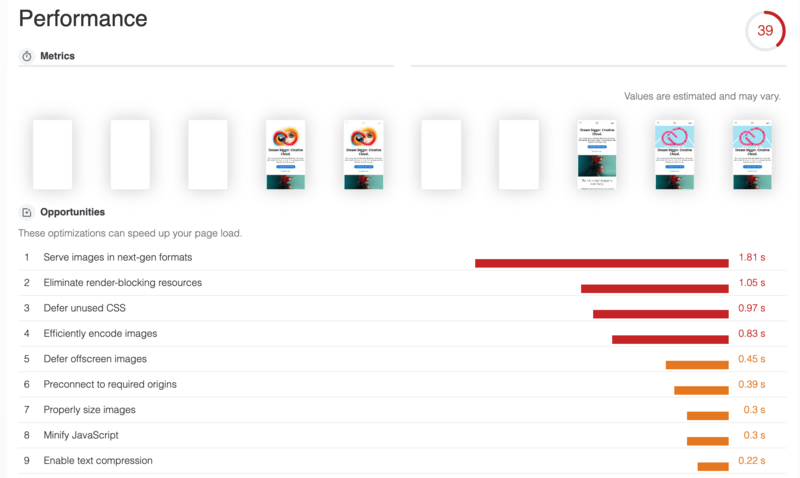 Performance: Modern metrics on how fast your website loads and how key elements become available to your customers – First Contentful Paint, First Meaningful Paint, Speed Index etc. Progressive Web App: checks your site’s level of completeness, which improves mobile performance and may increase search engine rankings. Accessibility: checks 35 accessibility traits, one of the most important things you can monitor, also you are legally obliged to provide an accessible website. Best Practices: checks the use web development best practices, like HTTP/2. SEO: less thorough than some third-party SEO audit tools, it can still help your business get an idea of how it will perform in search engines. KissFront.com Helps Improving Your Overall Website Experience. Easily store and share results with your team. KissFront gives you the ability to monitor all the metrics from above over a period of time during deployments and high load. Also gives you the ability to monitor not only your website but you competitors web sites. 1 minute readTime to First Meaningful Paint (TTFMT) is a modern performance metric introduced by few engineers from Google, and is the time to paint the main content that users are interested in, so the thing the users came here for. 1 minute readFirst Paint (FP) shows the time it took for something to happen, anything at all, however this can be not so useful, as this first render, may not be very useful for the user, and for the overall experience. 3 minutes readA customer decides if a website is “slow” or “fast” by multiple moments experienced during the load of the website. First Contentful Paint (FCP) is a performance metric which measures the time from navigation to the time when the browser renders the first bit of content from the DOM. It provides feedback that the page is actually loading. First Contentful Paint entry contains a DOMHighResTimeStamp which highlights the time when the browser first rendered any text/image or SVG, canvas or text with pending webfonts. (it excludes iframes). 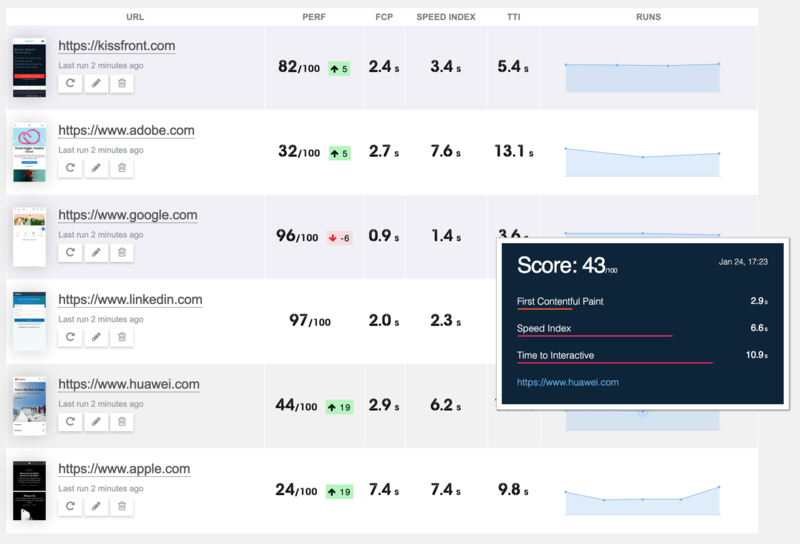 KissFront monitors websites performance, analyzes & compares it to competitors, collecting modern performance metrics and insights on best practices using Lighthouse. First Contentful Paint time still has its drawbacks – the loaded content may not be meaningful for the user that loaded the website. First Meaningful Paint (FMP) is another performance metric which will be available, where the focus will be on content desired by the user. First Contentful Paint is usually used as an approximation of the First Meaningful Paint, the downside of this performance metric is that it often catches no very meaningful paints in the web page, like headers, footers, different scrolling or navigation bars, that are non very meaningful in terms of overall loading experience. The user cannot understand much about what the website is about, or cannot see yet the content that he/she was looking for. Recent studies discovered that half of users are likely to abandon a website load in more than 3 seconds. Apparently, 1 second delay in response time translated in 7% less conversions. E-Commerce companies are the ones most affected by loading times, and this can actually mark the difference between losing a potential customer or finishing a sale. That’s why the most important metrics nowadays are the ones that directly affect your customers, how they perceive your website, their confidence that the whole experience is smooth-less.A fast website does not only refer to the landing page, but you should pay attention the every page that is required as part of a user workflow. How to Improve First Contentful Paint (FCP)? Change the way your web fonts load – add font-display: swap; to your @font-face rule, will tell the browser to load first the system fonts when the DOM is rendered, and the swap to the custom web fonts you want to use. First Contentful Paint (FCP) and First Meaningful Paint (FMP) are some of these metrics can make your website faster if you pay attention to them and continuously monitor them. 1 minute readLoad Testing is all about caring for your customers. Running load tests all year round is a best practice and you should have this idea in mind. SEO is also impacted by slow websites, sites what experience issues when the load is higher that usual. 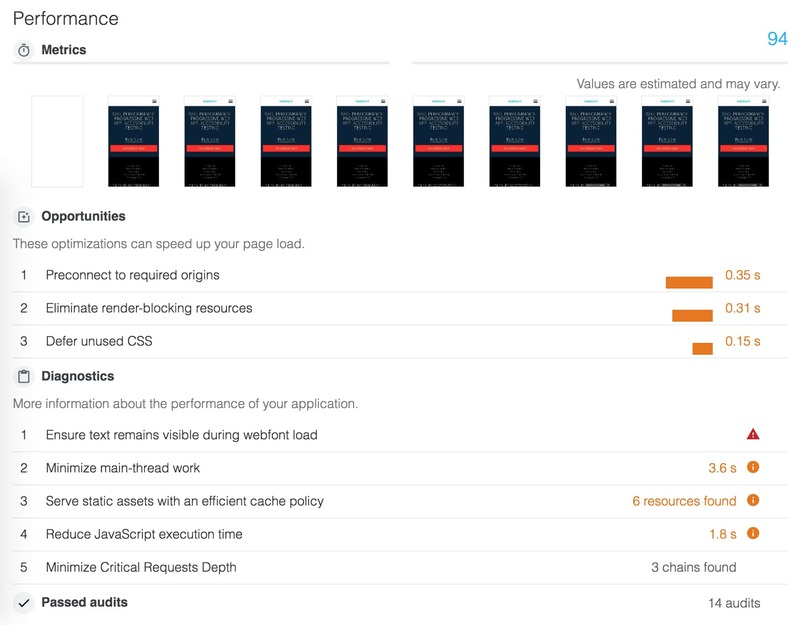 These are just some of the reasons why it’s a good idea to load test your web services, websites every day/week/month/year and not just at specific times. With LoadFocus.com there is no need to write any piece of code while configuring your load tests, just a few seconds and you are ready to run load test for your websites. Here are potential load testing errors and response codes that you may receive while running your load tests. 1 minute readDisaster Recovery Testing is the process to ensure that an organisation can recover data, restore business critical applications and continue operations after an interruption of its services, critical IT failure or complete disruption. A disaster recovery test (DR test) checks every step from a disaster recovery plan as outlined in an organisation’s business continuity/disaster recovery (BCDR) planning process. Usually, the DR testing process is neglected by many organisation which makes things very difficult to recover when disruption occurs. Communications, data recovery and application recovery are typically a focus of all disaster recovery testing. how long does it take for the services to recover? how long does it take to recover the data? which are the services/data affected? how will the system behave if part of the infrastructure becomes unavailable? Disaster recovery tests should be scheduled and executed on a regular basis throughout the year and be incorporated into all planned maintenance and staff training. Audit logs and other data should be analysed to determine what worked / didn’t work as expected, what changes need to be made in the DR plan. Disaster Recovery Testing can be executed while the application is under heavy load and carried out in conjunction with Load Testing and Website Speed Testing.